WorldBuild Tashkent has become the leading specialised trade event, bringing together thousands of producers of building and interior materials, tools and equipment. UzBuild Tashkent / WorldBuild Tashkent 2019 will be held from 27 February-1 March, 2019 in Tashkent, Uzbekistan, at NEC "Uzexpocenter", pavilions No. 1, 2 and outdoor space. Exhibition UzBuild Tashkent / WorldBuild Tashkent is the largest in terms of space and number of exhibitors in Uzbekistan. 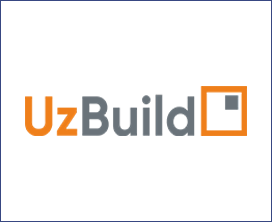 Uzbuild Tashkent / WorldBuild Tashkent is the only event in Uzbekistan that has been independently audited since 2009. The exhibition is audited by the World Association of the Exhibition Industry - UFI.